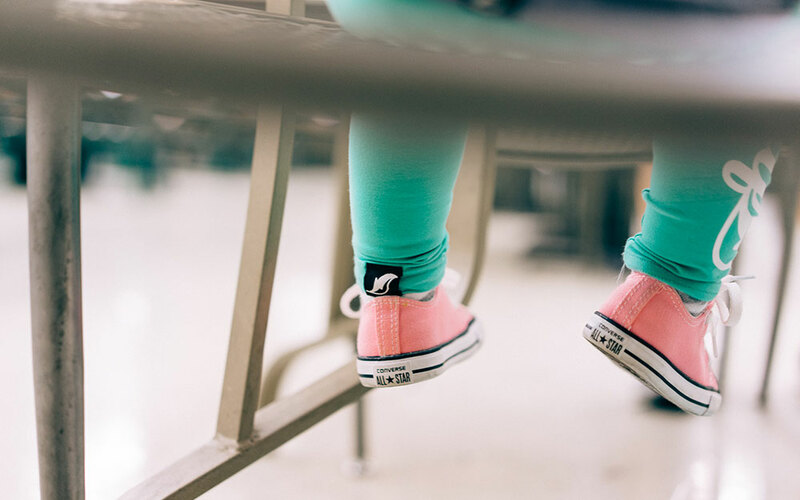 Whether you are chilling at home learning how to potty-train or in preschool, elementary and middle school, we got you covered. You don't know it yet but you are in our WOLF Academy and we are here to grow with you! 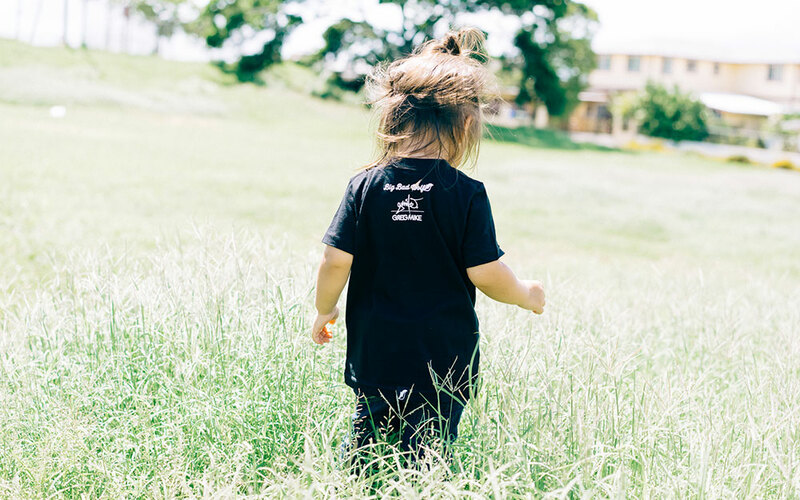 Everyone loves a good classic tee and that is why we are excited to introduce you to it. 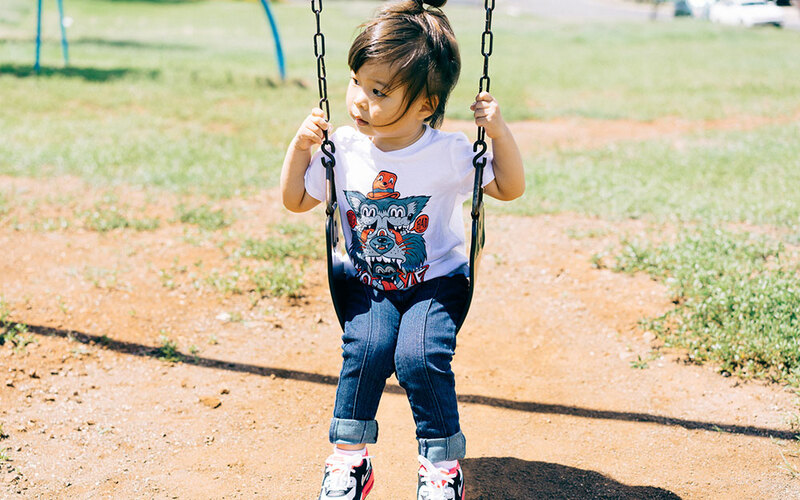 This tee comes in two colors, black and navy. David Flores is an American artist, muralist and product designer. Flores is best known for his self-proclaimed "Stained Glass" and mosaic or segmented style. The impact of Flores' graphic style comes in its ability to allow the viewer to reinterpret a popular image they already have associations with. Flores' murals, acrylic paintings and sculptures have many iconic images, including images of the late artists such as Andy Warhol, Salvador Dali, Jean-Michel Basquiat and Robert Crumb. Portland-based but California bred artist Souther Salazar's installations transport the viewer into a vibrant and endless world of overlapping drawn, painted, sculpted and animated narratives and dreamscapes -- half-remembered, half-imagined places where stories can develop and take on a life of their own. Utilizing a variety of mixed media, found objects and layers of assemblage, his work evokes the wonders and imagination that many of us abandoned in childhood. Balloons, cakes and funny hats are essential to a good party. However, the most important ingredient is pizza. We all know a pizza party is the best kind of party. Not only is it fun, it's only cheesy and delicious. 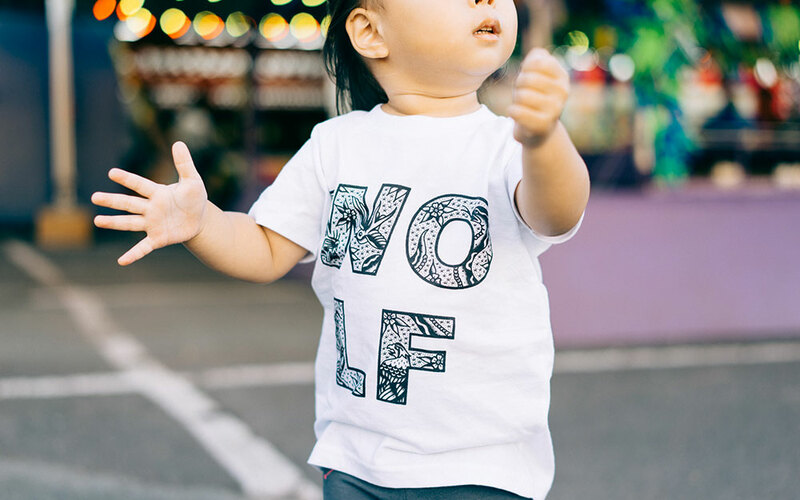 Andrea Wan's artist series tee for Big Bad Wolf is all about that. Celebrate your love for a good pizza party with this amazing tee. Hip hip hooray for pizza! Octobers are a perfect for midnight howls at the moon. It's even better during Halloweens with witches, ghouls and monsters roaming the streets. Put on this crazy eyed wolf tee by Greg Mike for your nights as a werewolf. Big, bad and ready for tricks and treats. Anytime is a good time to reach for the stars. If you're too short, then gather your closest buddies and get up high. Stand on shoulders to reach the skies. 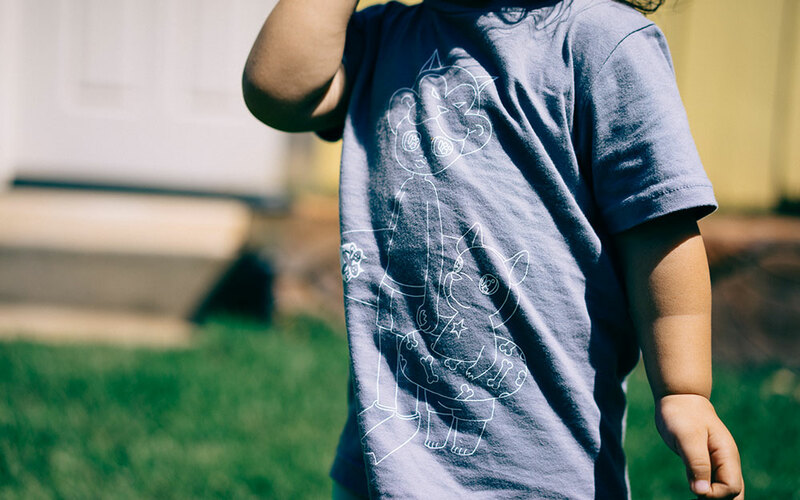 Renowned artist Brendan Monroe knows we can all be in the stars together and his Big Bad Wolf design is a friendly reminder of that fact. 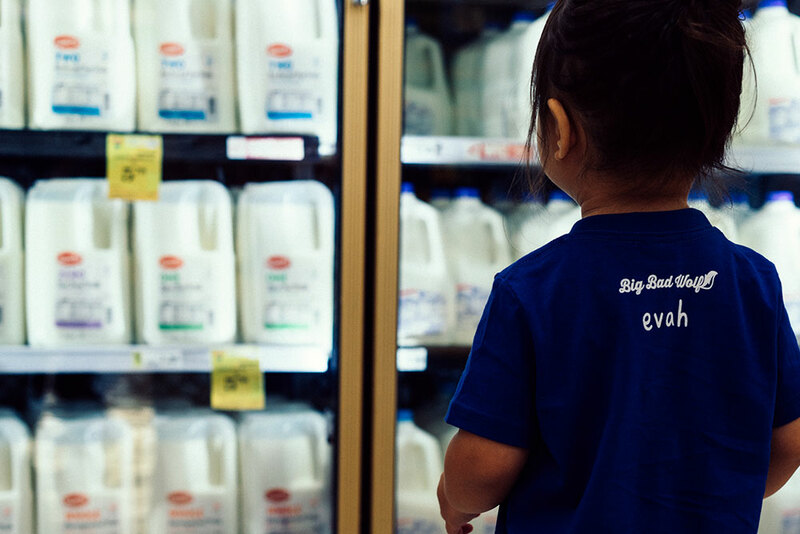 Climbing the food pyramid is essential for the growing body and this applies to jugs of milk too. They need their daily dose of fruits, but oranges are never happy when you drink out of their heads with a straw. 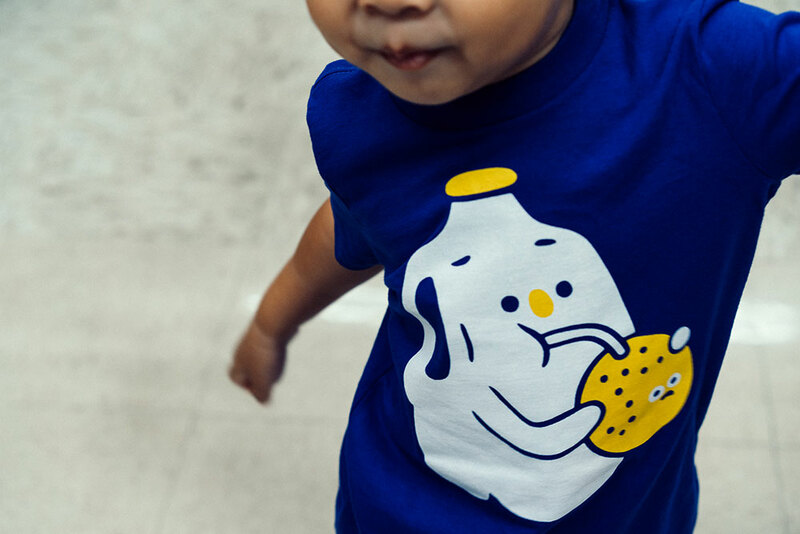 this quirky design tells a story about friendship and a healthy diet. friends share and are delicious. A message brought to you by Evah Fan and Big Bad Wolf. Time to call the pack and ring in the summer fun. This calls for an overload of cotton candy, carnival rides and a hot dog or two. 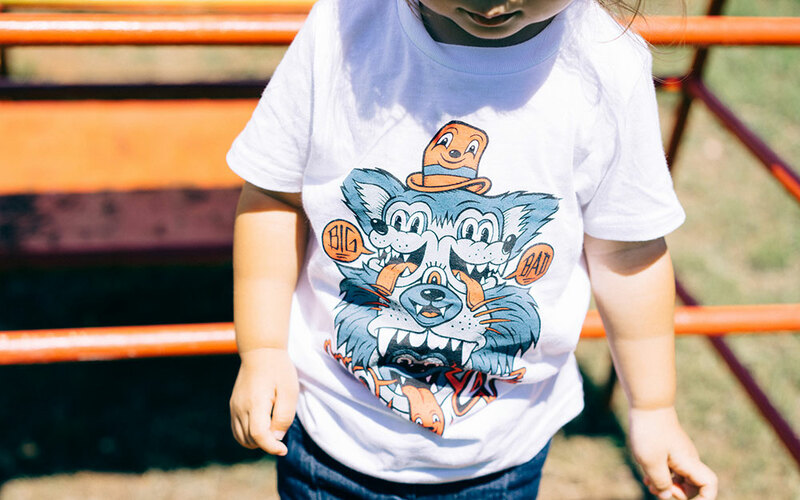 Inspired by the flash art of tattoo culture, Steen Jones designs the "WOLF" tee integrating classic Americana styles for the Big Bad Wolf. To complete the outfit, pick up the "Point And Shoot" leggings designed by artist and curator, Jasper Wong. 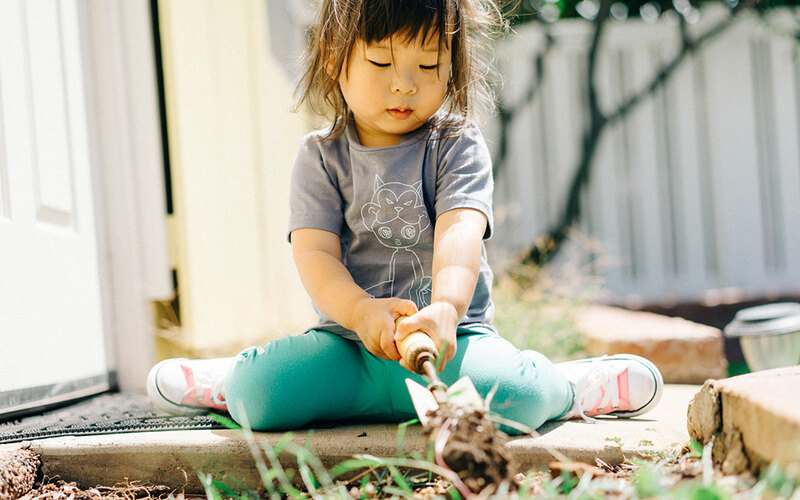 Just in time for the hot summer months, So Youn Lee brings the sandy beaches and blue waters to your little ones. 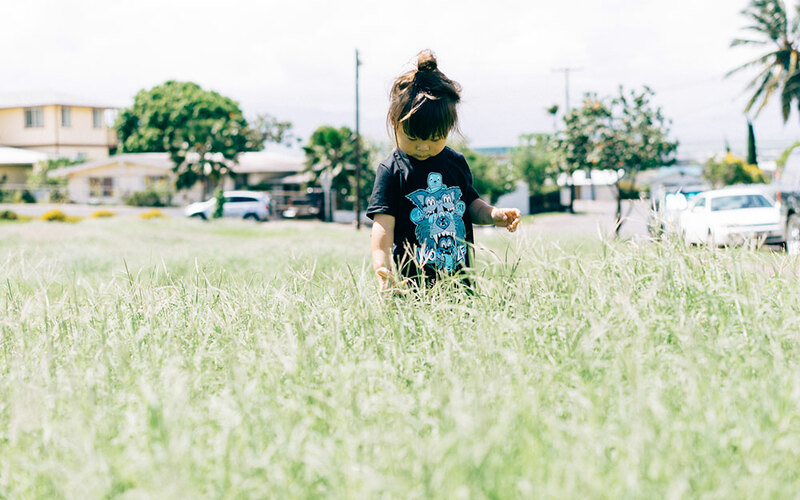 Pick up the Big Bad Wolf leggings and pair them with this month's artist series tee to create the perfect outfit for building sand castles or playing in the backyard. School is out and it's time to be big and bad for the summer. Keeping a big and bad reputation is not easy. You have to occasionally chase down pigs and blow down a house or two. Sometimes you have to mix it up a little. Sometimes you have to eat a puppy and push kids off their bikes. With that being said, artist Rylsee epitomizes the big and bad lifestyle with this new tee designed for our April release. There are two sides to every coin. Being big and bad is just one side of the wolf. There is also the side that enjoys dancing and partying till the break of dawn. To celebrate the good times and the coming of spring, we are bringing in new designs that represent every part of being a wolf. 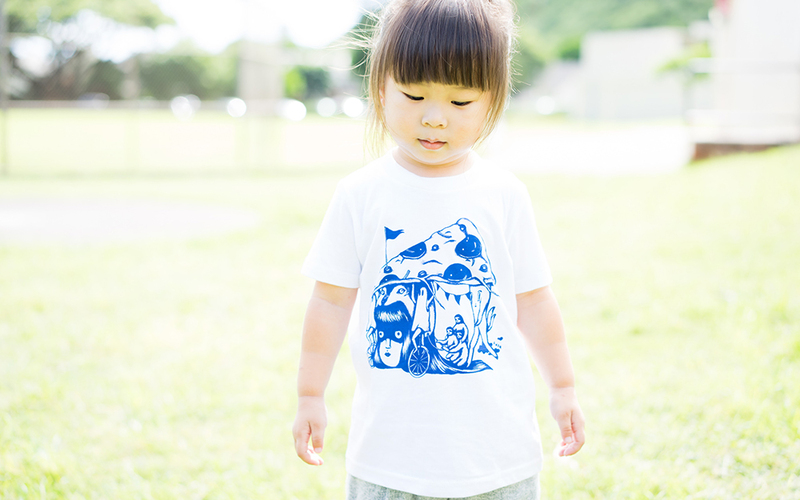 This collection includes designs from two world-renowned artists. The big and the bad is brought to you by designer, Matthew Tapia. Known for his extensive work with brands like Nike, Matthew Tapia brings his typographic sensibilities to a bold "Big Bad" tee. It's further fleshed out with another design inspired by Big Daddy Roth. A little something for all the hot rod kids out there. Madsteez brings the party. His paintings are known all over the world for his technical prowess and use of color, especially purple. 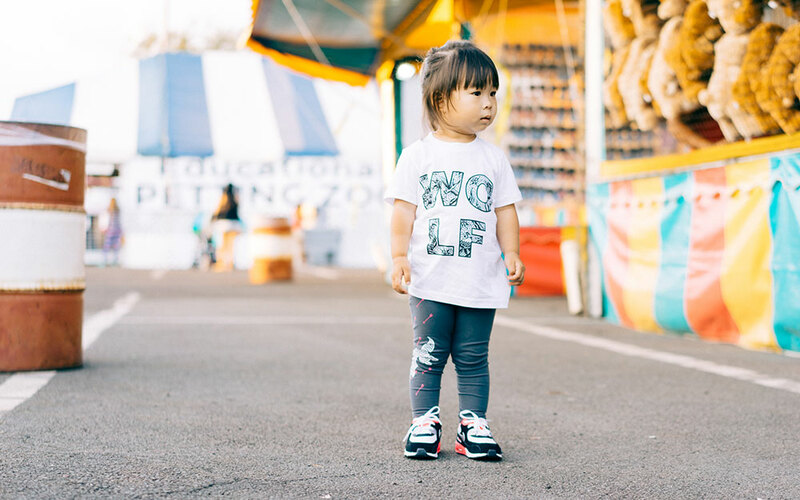 For Big Bad Wolf, he created the ultimate "Dancing with Wolves" tee. Wolves love the beat of a good tune and Kevin Costner. We are howling louder than ever with new designs to ring in the New Year. The Howls and Cowls collection is three fold with a new Artist Series tee in the form of a Red Riding Hood inspired design by renowned artist and designer, Suitman. The second is a collaborative tee celebrating the upcoming fifth anniversary of the acclaimed mural festival known as POW! WOW! Hawaii. It is then rounded out b a design that speaks true to all our hearts with a bold statement saying, "I Want To Be Your Favorite Hello and Your Hardest Goodbye." Big Bad Wolf Fall/Winter 2014 is about being unordinary. 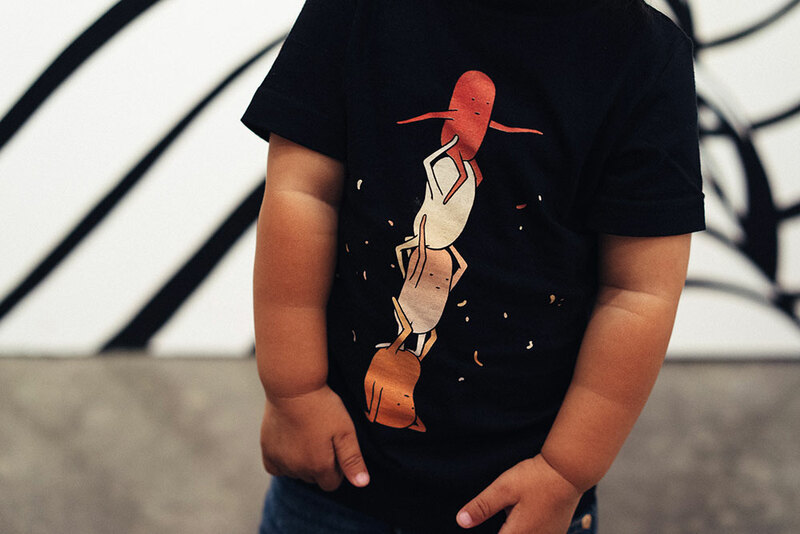 Bringing street-wear and art down to the little ones. This is an introduction to who we are and what we are all about. We love to play, laugh and do silly things and we are seriously good at it.